Pay-Per-Click (PPC) Advertising plays a crucial part in a Digital Marketing strategy. PPC allows you to feature at the top of the rankings for key search terms. Managed correctly, it can be a highly cost-effective method of advertising on both search engines and websites, as you only pay when a user clicks on your advert. With the correct ad strategy, you can target users who are interested in your services and get them to your website. The ROI can be very impressive! Our in-house PPC specialists will identify and target the right kind of visitors. We won’t just send traffic to your site that then doesn’t engage with you. We’ll ensure the right message is seen by the right type of customer, increasing the chances that each visitor will enquire or make a purchase. We ensure every aspect of your campaign is tracked, enabling us to identify the ads and keywords that are successful, therefore improving ROI month by month. From PPC budgets of £100 to £10,000, our team will be able to generate more targeted visitors to your site and more enquiries/sales in just one month, or your money back! What gives us this confidence. A PPC process that never fails to deliver. We’ll analyse your current activity, identify improvements and conduct extensive keyword and competitor research. This will form the basis for our initial campaigns, and help you get off to a flying start. We’ll rebuild, restructure or create new campaigns. From identifying the correct bidding strategy for each keyword, to creating ad copy and bespoke landing page optimisation, we’ll deliver campaigns that get in front of the right audience and encourage them to engage with your website. We’ll implement fully customised PPC campaigns, working within your desired budget and ensuring a significant return on investment. We’ll continuously review, optimise and report on performance, to ensure that month by month your PPC campaigns are returning more and more sales. We’ll identify which ads perform better, which terminology drives a high click through rate and what bids are best for each keyword. We'll identify the best keywords that will make optimal use of your budget and will drive the most conversions. We'll idenitfy what the average cost per click of each keyword is as well as the level of competition and build campaigns accordingly. It's no good running PPC ads if the copy isn't compelling and encourages your target audience to click and engage with your website. Our expert copywriters will create content that uses all the great things about your business to attract the right type of customer. It's easy to get to number one if you spend over the odds. 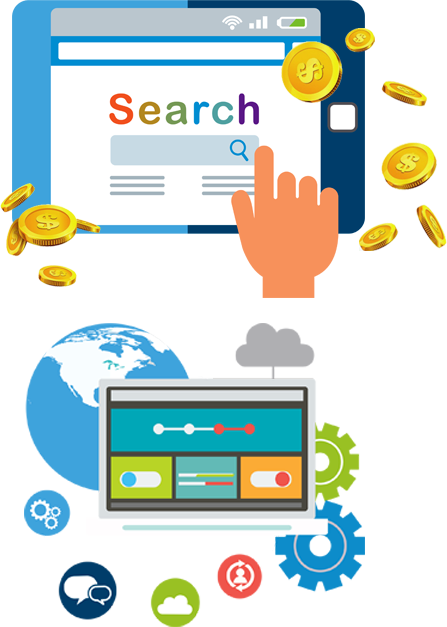 What our experts can do it test in such a way that you'll be in the top positions on Google for the minimum amount, helping your budget stretch that bit further. To make the most of the ads, we'll even fully optimise the designated landing pages. We'll can optimise current designs or create something bespoke, to help successfully capture web traffic to drive leads and conversions. We won't just create some ads and leave them running. Oh no. Great PPC Management requires constant testing to improve the ads positions and click through rates, plus continual bid management to get the best position for the best price. We'll conduct split testing across all of the campaigns, to help us forge better and more successful campaigns. Our reporting will detail all of your campaigns down to keyword level, including the changes we've made, the Average Cost per Click, Click Through Rate and Conversions that each keyword is getting, so you'll have a clear understanding of exactly how well your PPC Campaigns are performing. Do You Want Targeted Traffic and Enquiries? 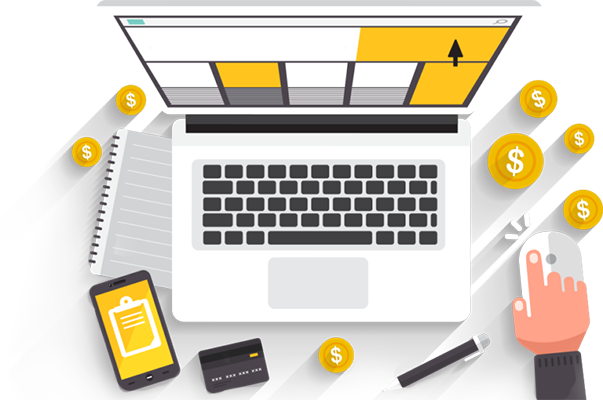 Our expert PPC team will deliver impressive Returns on Investment with tailored PPC packages. Our in-depth research into your company and market will not only drive more customers to your website, but also increase sales and enquiries. If you'd like a piece of the action, get in touch today.